Hello everyone, my apologies for being gone for so long. I can’t believe I haven’t posted since June 20th. I’ve been busy wrapping up my masters (I graduate in a month), planning my big move to Los Angeles, working at StagesPlus, and I was in Chiapas, Mexico last week on vacation with my mom and sister (Yes, I’ll be uploading pictures like I did for my trip to Puerto Rico). With the repeal of DOMA and Proposition 8 and a plethora of gay pride parades last month, I decided to give homage to such events by stating my opinion on Garfield’s thoughts on a sexually flexible Spidey. “What if MJ was a dude? Why can’t we discover that Peter is exploring his sexuality? It’s hardly even groundbreaking! So why can't he be gay? Why can't he be into boys?" Garfield told Entertainment Weekly about the conversation he had with Matt Tolmach, the producer of The Amazing Spider-Man 2. After finding out that Shailene Woodley’s scenes have been cut out (she was cast to play Mary Jane on the sequel), Garfield says he has a potential actor in mind. As an aspiring producer, I would actually love to be on Tolmach’s shoes. If this were to be taken seriously, I would heavily consider such idea. This is something that, to the best of my knowledge, has never been explored in a superhero franchise and it would be interesting to spice up the plot a bit. I am aware it could be a risky decision, but with a more accepting society of the LGBT community and more open-minded moviegoers, it could be a revolutionary, wise decision. Plus, it’d be good for LGBT kids to have a superhero role model to look up to. 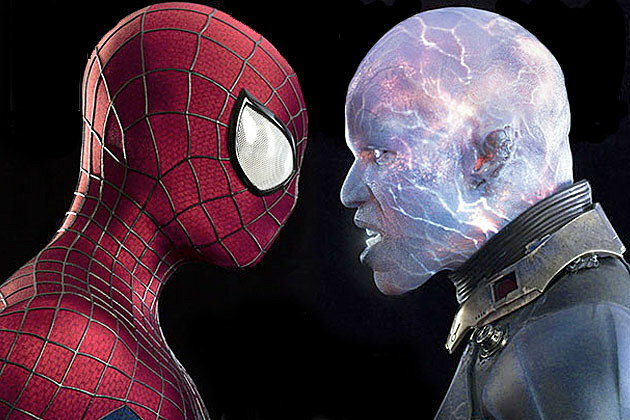 What are your thoughts from a producer’s standpoint and/or a Spidey fan? Comment below. By the way, did you get a glimpse of this new image from "Spidey 2?" I'm all for acceptance and all that. But let spiderman Peter Parker remain the straight Spiderman Peter Parker. If another incarnation of Spiderman happens to be gay like an alternate universe spiderman (and Marvel has plenty of those) then have at it, but as for Peter Parker being made gay because its the "in" thing or because it more acceptable now is a no go. Stay true to the Spiderman lore. If Marvel wants to create a LGBT superhero, by all means do what you will, but leave the superhero we grew up with in his original incarnation out of it. Peter Parker is not gay, and unless they choose to use one of the alternate universe spidermen, and make it clear that's what happening, this will not go over well. Can you say M. Night Shamalan and The last airbender times 1000? EPIC FAIL. From the perspective of a fan, I agree with you 100 percent. Turning Peter Parker bi or gay would change his core completely. In a way, it's like changing the race of a well-known character. I agree that if they want to do it, they should wait for a reboot set in a different "universe." However, as I mentioned, it would be interesting to see how moviegoers, the studio, and mainly the fans, would react if this were to be the case. The box office numbers might be in jeopardy, but I don't think it would be an epic fail because I'm sure people would be curious to see how it would develop. It would definitely be interesting.